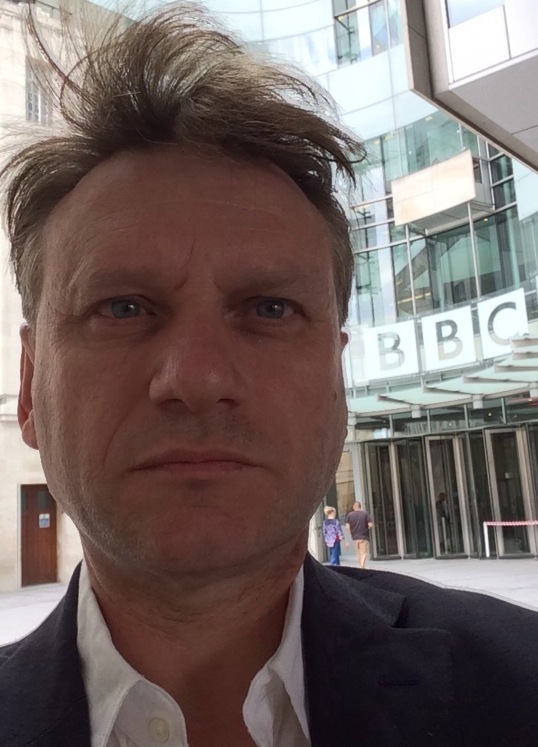 Eamonn was in London earlier today, meeting commissioning editors from BBC Radio 2 and BBC Radio 4. Weather terrific, company interesting. The surname Granados - we're told - translates from the Spanish as "distinguished". On Sunday's BLUE, we'll listen to 2 distinguished pieces of music by Enrique Granados, who was born in Spain on this very day in 1867. Also coming our way tonight, new jazz from Hamburg guitarist Andreas Dopp; a selection from a new recording of Prokofiev violin sonatas by Alina Ibragimova (see video) and Steven Osborne; a sample from the 2014 debut CD by German trumpeter Benny Brown; choral octet voces 8, from the newly-issued "Eventide"; more Piazzolla featuring bandonéon-player Pablo Mainetti; jazz singer/songwriter Karen Mantler; the final two recordings of the week by Talich Quartet; and ECM artist Maria Pia De Vito with Francois Couturier, Anja Lechner and Michele Rabbia. This Saturday night on BLUE, we'll hear Lalo Schifrin's impressions of his own, and Debussy's, music; Anne Sofie von Otter duetting with Brad Mehldau; Arvo Part x 2; Billy Bragg's "Tommorow's Going To Be A Better Day"; a Bragg tune on the new solo piano CD by Elan Mehler (specifically, "Way Over Yonder In The Minor Key"); melancholy courtesy of Chet Baker - see video - and Tim Buckley; more Talich Quartet, including a Mendelssohn fugue; we've a Mendelssohn piece performed on piano; plus singer/songwriters Laura Veirs and Agnes Obel. On Friday's BLUE, jazz trumpeter Sean Jones performs a Stephen Sondheim melody; we hear recently made available releases of chamber music by Claude Debussy, Gabriel Dupont and George Onslow (the so-called "French Beethoven"); Maria Joao Pires and the Swedish Radio Symphony Orchestra, from a new recording of 2 Beethoven piano concertos; the late Charlie Haden duetting with Hank Jones; performing a tune by Beatle Paul, guitarist John Williams (see video, from 12:05, in the mountains above Malaga with former Kinsale resident Keith Floyd); we've more Talich Quartet; and a selection from a 2014 solo piano CD by Elan Mehler. Tonight's BLUE should provide the perfect wind-down whether you've been following Rory McIlroy's golfing exploits in The Wirral or not: we'll listen to suites by Jules Massenet and Edvard Grieg; singer-songwriter Patty Griffin (see video); a new solo piano recording by Elan Mehler; solo Ferran Savall, a son of Jordi Savall and Montserrat Figueras, and brother of Arianna; birthday boy Carlos Santana; pieces by Janacek and Lutoslavski; Satchmo with the Oscar Peterson Quartet; new jazz from Sean Jones (a former lead trumpeter with the Jazz At Lincoln Centre Orchestra); and our final recordings of the week from guitarist Julian Bream.